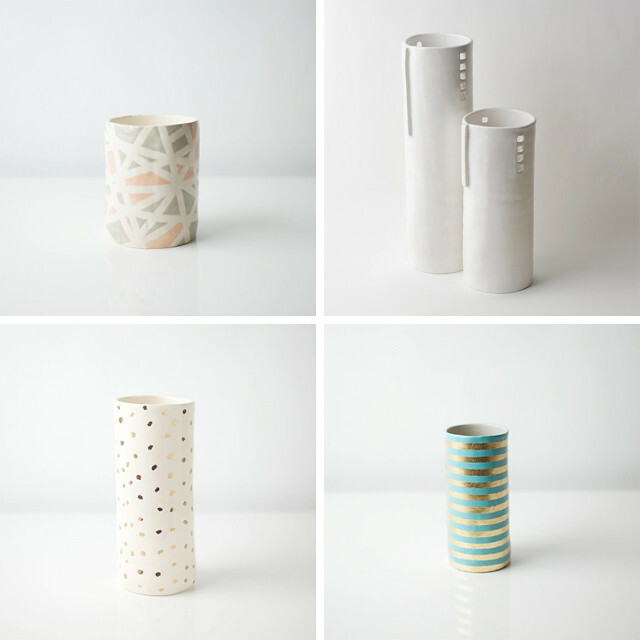 Today I'm digging these decorative ceramic pieces by Up In The Air Somewhere on Etsy. With clean lines, pastel palettes and a splash of gilding, they are like a breath of fresh air. Up In The Air Somewhere is based out of Chicago, each piece hand crafted by Susan Dwyer. 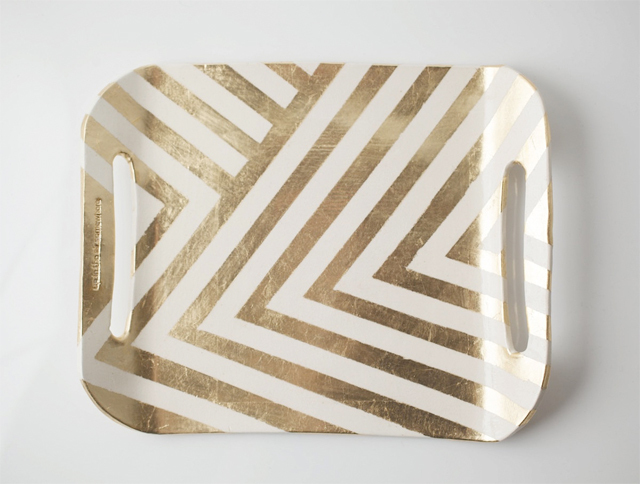 "I'm creating a line of housewares inspired by the beautiful forms found in industrial architecture. Water towers, warehouses, factories, and silos are abundant in Chicago and endlessly fascinating to me. Although I work in different mediums (paper mache, ceramic, fiber, etc. ), my work has always been primarily focused on volume and form rather than ornamentation and surface. The simplicity and utility of the industrial landscape is a constant influence on my work." For more about Susan, visit her blog or her sculptural website.